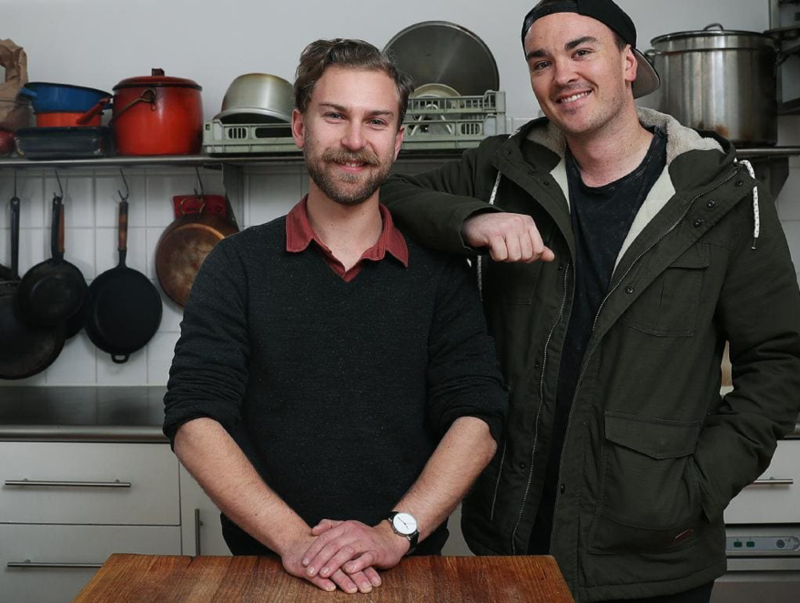 Alex Morton-Brown of the Agrarian Kitchen Eatery was the successful applicant for the biennial Slow Food Terra Madre scholarship, left, with 2016 winner William Roberts. Picture: SAM ROSEWARNE. 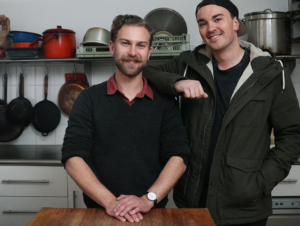 A YOUNG chef from the Derwent Valley will head to one of the world’s major food events as part of the biennial Slow Food Terra Madre scholarship. Alexander Morton-Brown, of the Agrarian Kitchen Eatery at New Norfolk, heads to Italy in September to attend Terra Madre/Salone del Gusto and connect with the Slow Food Chefs Alliance and Youth Network at University of Gastronomy in Bra. “I love my job and am absolutely stoked to have this tremendous opportunity to expand my knowledge of cooking local, seasonal food,” Mr Morton-Brown, 26, said. William Roberts, the last SF Hobart scholarship winner in 2016 and chef at the Old Wharf restaurant in MACq01 is mentoring Mr Morton-Brown. “I had an amazing experience networking with chefs from overseas and learning about food,” Mr Roberts said. Convivium Leader Slow Food Hobart, Jo Cook said attending the Italian event was a massive experience. Biennial Terra Madre Salone del Gusto brings together international producers and chefs celebrating good, clean and fair food.